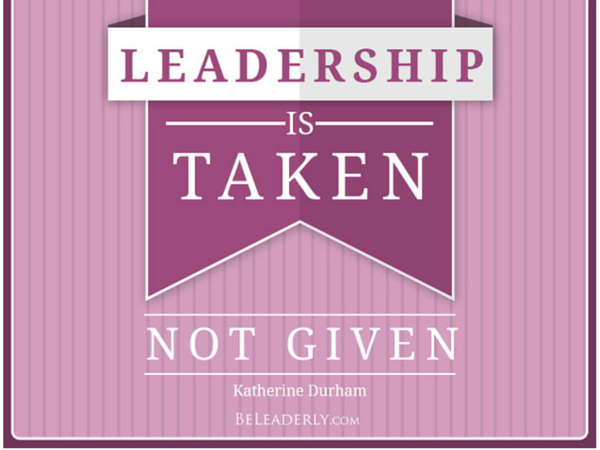 I once had the pleasure of interviewing Katherine Durham for a webinar in my series for emerging women leaders. Our discussion centered on advancing authentically, and how to build a successful career while remaining true to yourself. Durham, who is Chief Marketing Officer and Vice President, Individual Disability Insurance with The Standard shared some advice that I’ve never forgotten. If you’re interested in advancing into a leadership role, you need not wait for permission or an invitation to be a leader. According to Durham, you can assume the role and show up as a leader regardless of the position you hold in your company.